The Center for Evaluation & Research for STEM Equity (CERSE) is housed at the University of Washington Department of Sociology. Our center focuses on conducting high quality program evaluation and research to improve equity and broaden representation in STEM fields, with a focus on higher education. We help meet the challenges of the emerging workforce: recruitment, retention, and advancement of women and underrepresented minorities. In 2016, we changed our name from the Center for Workforce Development to better reflect the type of work that we do and why we do it. We see research and evaluation as complementary. We choose the right methods to fit each individual question, context, and population We establish and foster relationships with the people we work with because we respect the work that they do. We operate with a critical orientation. This means that issues of social justice inform our thinking and acting. CERSE and the UW Office of Minority Affairs & Diversity (OMA&D) received a new five-year, $4 million dollar grant to expand the efforts of the Pacific Northwest Louis Stokes Alliance for Minority Participation (PNW LSAMP). 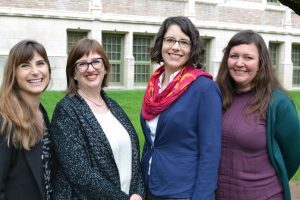 As part of this grant, Emily Knaphus-Soran and Liz Litzler will lead a five-year research effort in collaboration with educational researchers at Boise State University (BSU), Oregon State University (OSU), Portland State University (PSU), and Washington State University (WSU). Our research will take an assets-based and intersectional approach, examining factors that contribute to persistence in STEM among systemically marginalized students. The project will be multifaceted, including a multi-year, mixed-methods study conducted by CERSE, as well as four “sprint studies” conducted by researchers at BSU, OSU, PSU, and WSU. 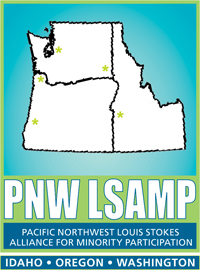 Each year-long sprint study will focus on the needs and experiences of students on one PNW LSAMP campus, contributing to a nuanced understanding of sense of belonging for systemically marginalized students in STEM. As part of the project, CERSE will also lead research-to-action forums that will result in actionable student-informed improvements to university programs across the alliance. DuBow, W., & Litzler, E. (2018). The Development and Use of a Theory of Change to Align Programs and Evaluation in a Complex, National Initiative. American Journal of Evaluation. 1098214018778132. Dr. Litzler and Dr. Affolter Presented a Webinar on the Basics of DEI Evaluation from the TECAID Project- Check it out on Vimeo! Through the NSF-funded RED Participatory Action Research (REDPAR) project, CERSE is collaborating with Rose-Hulman Institute of Technology to conduct participatory action research with change agents who are engaged in making change on their campuses through the NSF Revolutionizing Engineering Departments (RED) Program. In addition to providing RED recipients with a customized change curriculum and ongoing support for their projects, we are longitudinally tracking their processes and outcomes to better understand how change occurs within academic departments. 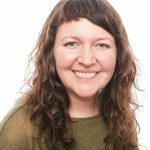 See the Research Page for tipsheets from this project and a five-minute “Hi-Five” talk about Strategies for Building Shared Vision presented at the 2018 CoNECD conference.